It is that time of year again when the leaves fall from the trees and the long dark cold nights of winter are upon us. With it thoughts of going to warmer climes increase. 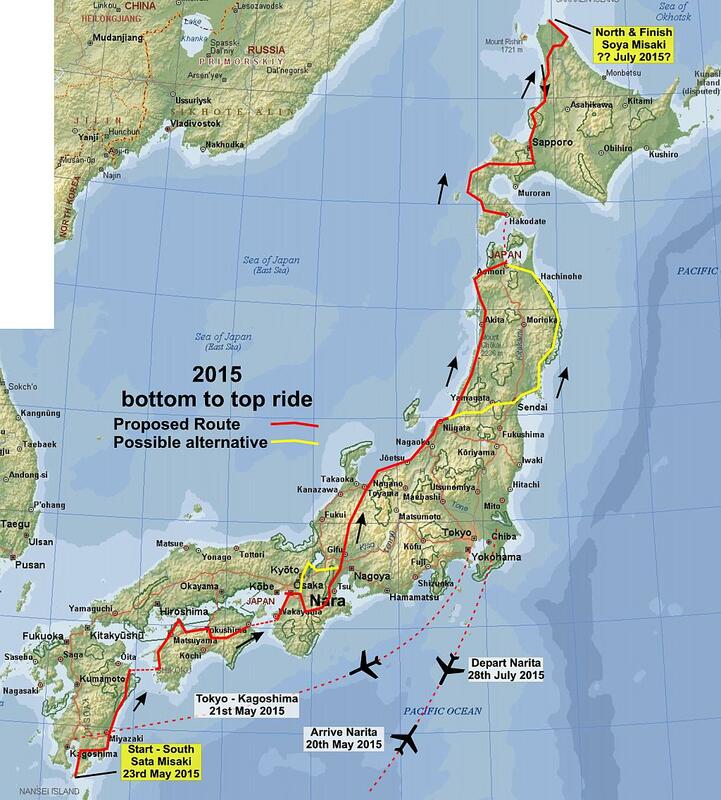 And so on Tuesday 19th May 2015 I depart New Zealand again for another Big Japan Bike Ride, this time it is No:4. The proposed route but as in previous years it can change. I will have a short stopover in Tokyo on arrival. Then go Kagoshima again, instead of the original idea of Osaka. I will go up east coast of Kyushu this time rather than the west coast. Cross by ferry to Shikoku and pass through the middle of the island. When there will ask more details about 88 temple pilgrimage. I hope to arrive in Osaka 2 weeks later and have a few days stay there. To celebrate my departure we rang the World Peace Bell in the Christchurch Botanic Gardens at 11:30am on Sunday morning 17th May. 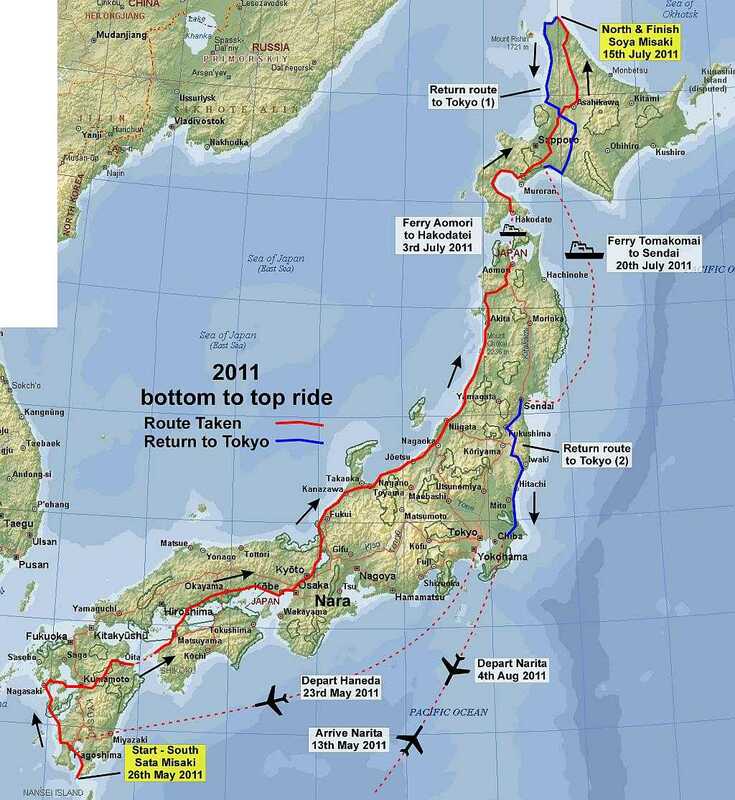 I realised I haven’t made a map of the final route of the crazy Kiwi on a mama-chari 2012 Big Japan Bike Ride. So here it is…. The actual route taken 2012. And can be compared to the one in 2011…. The actual route taken 2011. And the one in 2014…. So what of 2015, could there be a Big Japan Bike Ride 4?! Every weekday on Radio NZ National’s Afternoon programme with Jim Mora is an item called Best Song Ever Written. This is where listeners can nominate what they think is the “Best” song. 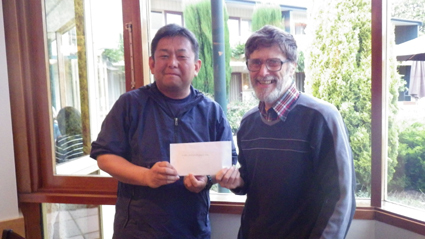 I nominated the best song and was accepted to appear on the show on 11th March 2013. Go to… http://www.radionz.co.nz/national/programmes/afternoons/20130311 to hear the interview and click on the top item. 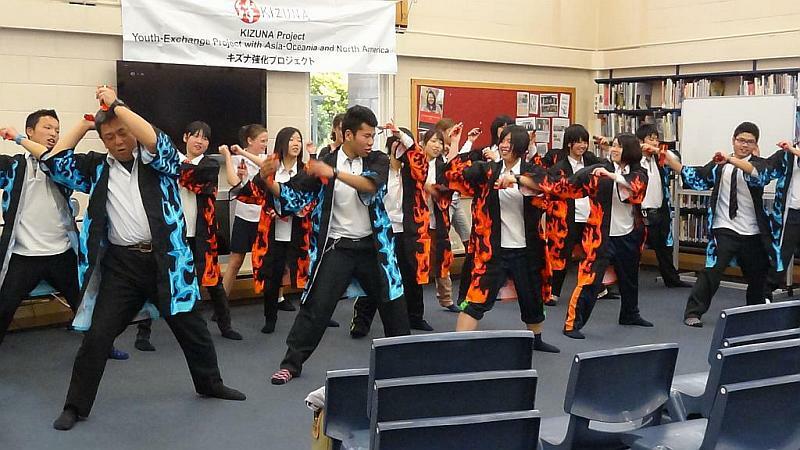 Anyone who has spent time in rural or urban Japan will have heard the song (or tune). It is played every evening at 5:00pm over the same loud speakers that are used to broadcast warnings of impending danger, such as a tsunami. Except at 5:00pm that day two years ago the tsunami had already happened and the speakers remained silent in the coastal settlements over a large area of north east Honshu. That day as night fell, stunned survivors were coming to terms with the fact that in a few short minutes their lives had changed forever. I asked that the tune be played to commemorate the tsunami victims and also to remember the survivors who must rebuild their lives again. Yes, Christchurch also suffered an earthquake, but the devastation was nothing like in Tohoku. http://en.wikipedia.org/wiki/File:Antonin_Dvorak_-_symphony_no._9_in_e_minor_%27from_the_new_world%27,_op._95_-_ii._largo.ogg has a recording of it, the first 4 minutes: 20 seconds. I’m still learning how to use this blog so lots of experimenting going on, for instance I just found out the difference between posts and pages. To see larger versions of the photos click on them. There are lots of photos! I completed my bike ride to the 4 corners of Japan on 16th July 2012. I then cycled down through Tohoku from Hatchinohe to Sendai mostly on Route 45 (what I call Tsunami Highway). That has been uploaded now and the blog completed. Thank you everyone for following my journey.